Just finished watching the first episode of the new Dr Who series to watch the latest regeneration of the 13th Doctor as acted by Jodie Whittaker. Jodie was great and we are really excited by the forthcoming series. We saw her chosen outfit and style at the end of the episode and it looks like the team at Barbie already knew. 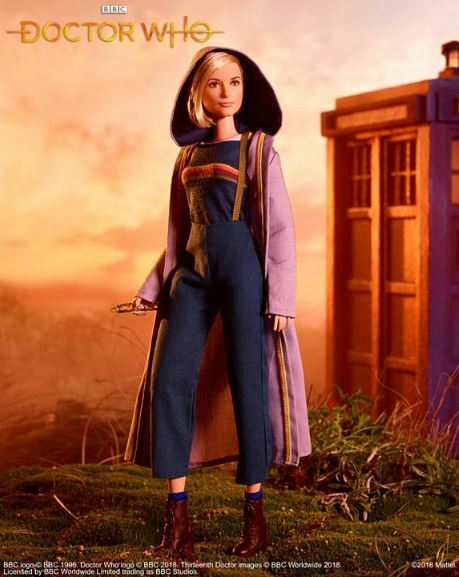 The Doctor Who Barbie Doll looks incredible and is dressed in a rainbow-striped t-shirt paired with cropped trousers and a trench coat. She also sported braces, lace-up boots and has her new sonic screwdriver in hand.